To find the A grade material acrylic makeup organizer to storage your all cosmetics. It could be custom tier, and add the custom handle, the crystal knob, acrylic handle and so on. High quality,clear acrylic material. Acrylic Dog Bed Custom Pet Product, making in a high automatization and handmading,no pollution. It is in good light transmission, strong resistance, easy to be shaped. 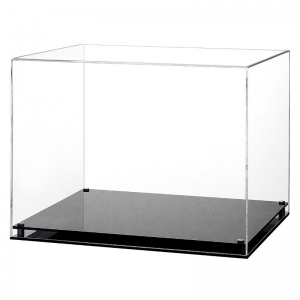 Acrylic products andA grade material clear acrylic basketball display box,All our acrylic material is imported from GERMANY with A grade ,100% new material for helmet display,model car display and toys display. All product could accept customized as your require. 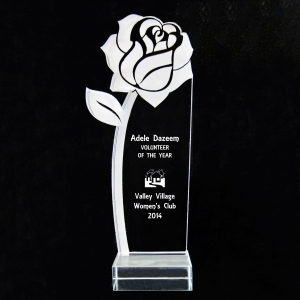 Acrylic trophies are affordable, beautiful, and show off your logo in stunning detail. We can custom your shape and word need to be printed. 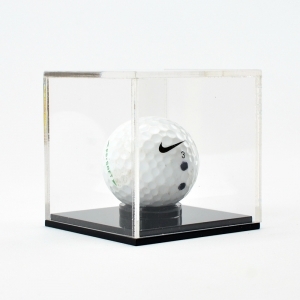 The Golf ball display case is manufactured at our workshop in Hampshire. Made from 3mm branded clear acrylic, this case gives you an all-round view of your ball. The base is made from 6mm branded acrylic and is available in either black, white or clear. An acrylic support ring holds the ball in place. 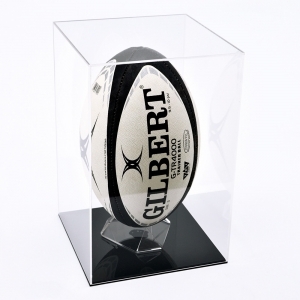 Our Rugby ball cases are manufactured at our factory. 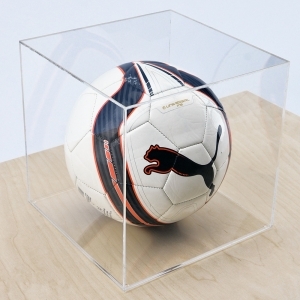 Made from 3mm branded clear acrylic, this case gives you an all-round view of your autographed ball. The base is made from 6mm branded acrylic and is available in either black, white or clear. An acrylic ball support allows positioning of the ball as required. American Football Display Case - Black Base. Case is made from 3mm clear cast Perspex for the lid and 6mm black Perspex for the base. Ball locates onto a clear plinth which can be positioned freely. Acrylic football display are widely used in sport shop. We have different size and design for football, basketball, golf and others. 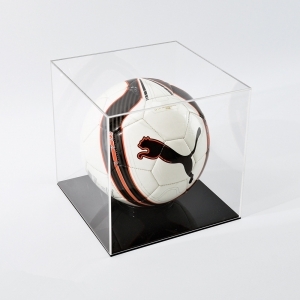 This Football Display case is made from high grade acrylic, The base is 3mm black acrylic and the lid 2mm clear. The base is manufactured with 25mm sides and a 3mm recess for the lid to sit in. The ball sits in a 70mm locating ring, to hold the ball in place. Acrylic jersey frame has 6 nails to keep it tight. There are some different color for you like black, white, red, blue or other. Normal size is 850*750mm, size can also customized for you. 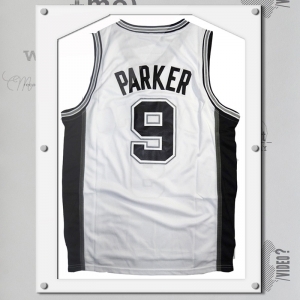 For acrylic jersey frame, we have different color and design for you choosing. It comes with individualized keys to lock away your prized jersey. 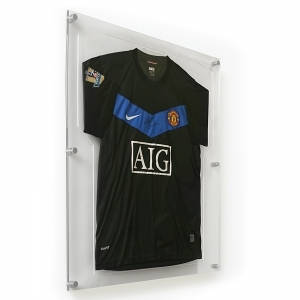 Modern & stylish acrylic sports shirt frames. 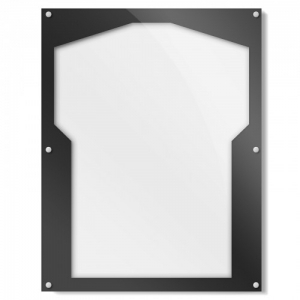 This product has a transparent acrylic border and back panel to show off and protect your sports shirt perfectly. See more images and full description below. The acrylic jewelry frame is supplied directly by the factory. It can be customized according to different styles, sizes and colors. Cricket Bat Display Case. 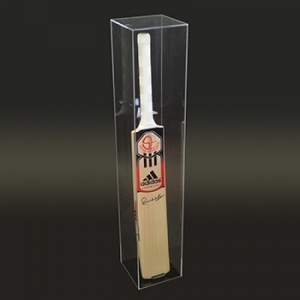 An acrylic display case for your precious signed cricket bat. 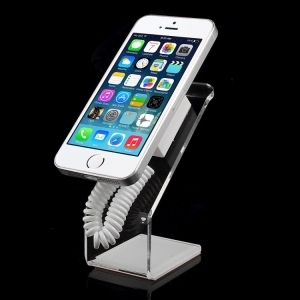 The display consists of a black base onto which a clear acrylic cover fits. 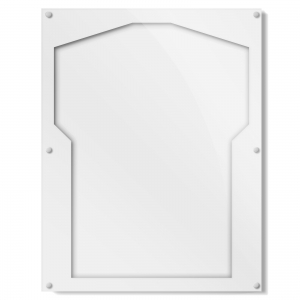 Display cases are ideal to show off your signed memorabilia or precious items in a safe and stylish way. 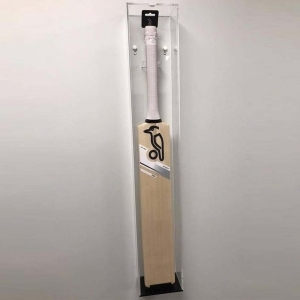 This wall mounted cricket bat display case is made of 3mm clear acrylic with a 5mm black acrylic back and clear supports. Bat display cases made Freestanding or wall mount to requirements. This unit has a top quality polished finish. There are many options available for display cases as they are all made to suit requirements. This Free standing cricket bat display case is made of 3mm clear acrylic with a 5mm black acrylic base and clear supports. Bat display cases made Freestanding or wall mount to requirements. This unit has a top quality polished finish. 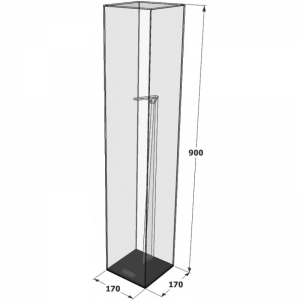 There are many options available for display cases as they are all made to suit requirements. Yageli acrylic mobile accessories has simple shape, size and color can be customied as you need. 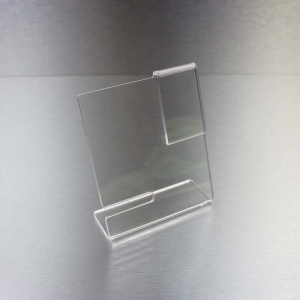 Clear lucite acrylic watch display stand is widely used in store and shops. Size and shape can be customized, normal color is clear, white and black.